Product prices and availability are accurate as of 2019-04-13 21:00:02 UTC and are subject to change. Any price and availability information displayed on http://www.amazon.com/ at the time of purchase will apply to the purchase of this product. 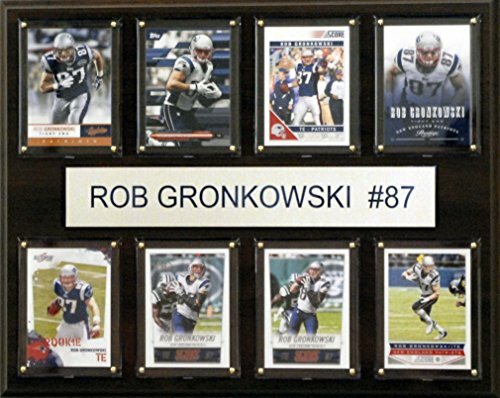 Rob Gronkowski is featured on this 12"x15" plaque, composed of eight licensed trading cards and an engraved nameplate. Superior, high-clarity acrylic lens covers, firmly affixed to the plaque with brass-type screws, protect the cards. 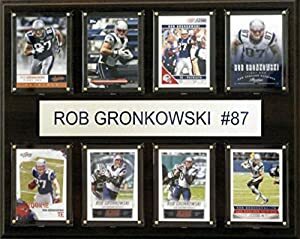 All cards are easily replaceable with ones from your own collection. The polished look makes for a well-crafted, long-lasting piece perfect for displaying in an office, recreation room, or any spot for a fan to enjoy. It is proudly produced and assembled in the USA.